Could there be a better way to close out 2018 than with a week-long review of Ford’s brilliantly revised Pony Car? Actually there is, and it’s called the Mustang GT Performance Package 2. 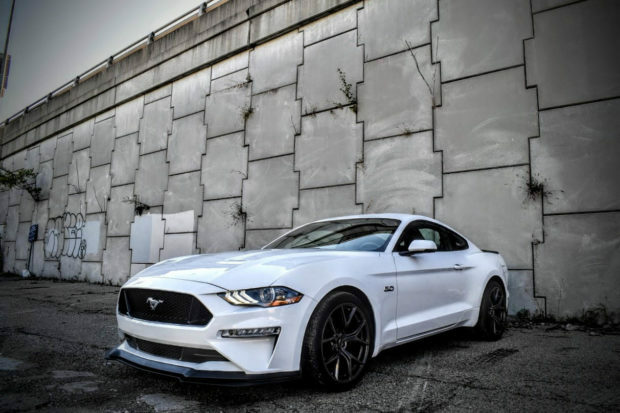 When I first drove the new GT back in 2017, I was deeply impressed by the heavily revised Mustang. 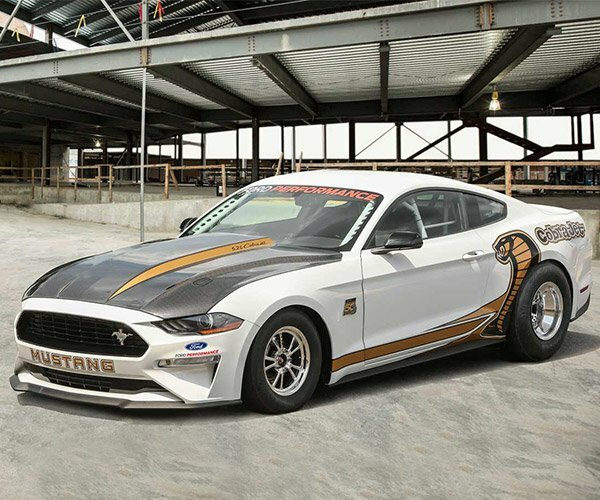 By outfitting the stampeding American icon with all manner of track-focused addition, Ford looks to recapture some of the awe the old GT350 instilled within us, but with a fresh twist on performance and packaging. Adding $6,500 to the Mustang’s overall price tag, the PP2 upgrade tosses things like forged 19-inch racing wheels, Michelin Pilot Sport Cup 2 tires, stiffer springs and anti-roll bars, recalibrated MagneRide suspension, and both a secondary front splitter and an exclusive rear flush-mount spoiler. All of this is heaped atop the Mustang’s line of Performance Package upgrades, so you also get things like racing gauges, Brembo brakes, a strut tower brace, undercarriage reinforcement, a beefier radiator, specially tuned traction, stability, and ABS settings, as well as a trick 3.73:1 ratio, Torsen limited-slip differential. 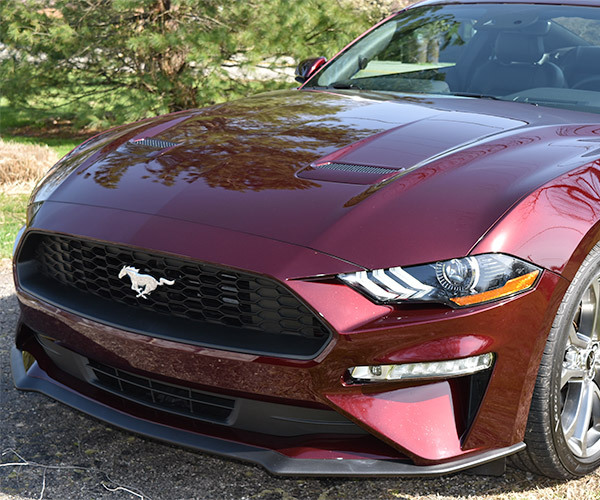 All told, with leather Recaro bucket seats and adaptive exhaust on deck, my test pony for the week came close to $52,000 and received stares almost everywhere it went. It’s important to note that although the Mustang GT PP2 does feature some exclusive wheels and aero enhancements, in Oxford White it is far more mild-looking than say the Camaro 1SS 1LE. Sleek, yet definitively masculine, the aesthetics of the revised Mustang are equal parts retro-inspired and streamlined. Although the wheel gap and borderline squared stance the alloy wheels provided were not entirely my thing, the split-spoke design and the way in which Ford has taken a “less-is-more” approach to performance styling is admirable for those looking for a stealthy screamer. And scream it does, to the tune of 460 rampaging ponies, and 420 pound-feet of torque. 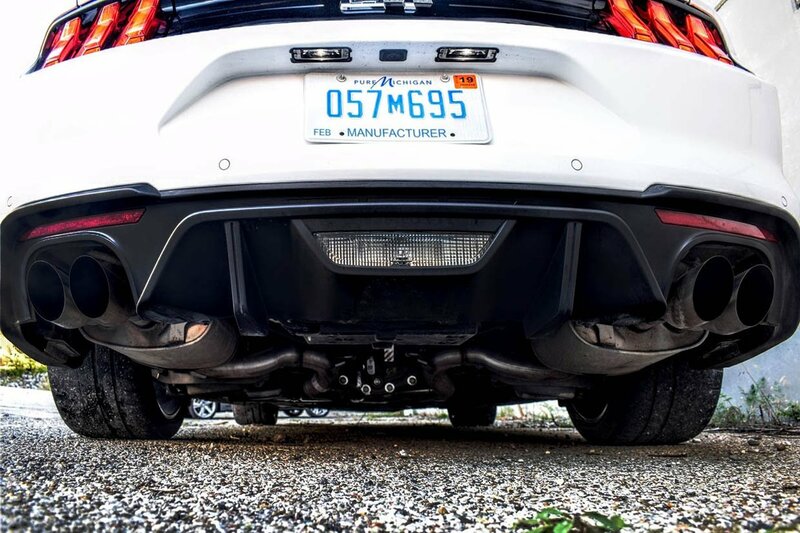 Smoke billowing from the rear tires, and adaptive exhaust roaring to life, launching the PP2 is a blast-and-a-half, with grip from the Michelin Pilot Sport Cup 2 rubber providing loads of reassurance. Snapping from one gear unto the next, the six-speed is a snappy joy to control, and its weighting, gates, and palm feel are nothing short of fantastic. With its revised syncros and massive range in gearing (third can take you anywhere from 12 to 100 mph) this gearbox is one of the greatest selling points of the Mustang GT, and in PP2 trim, with that Torsen rear diff out back, makes a strong case for rowing your own gears in today’s age of high-speed automatics. 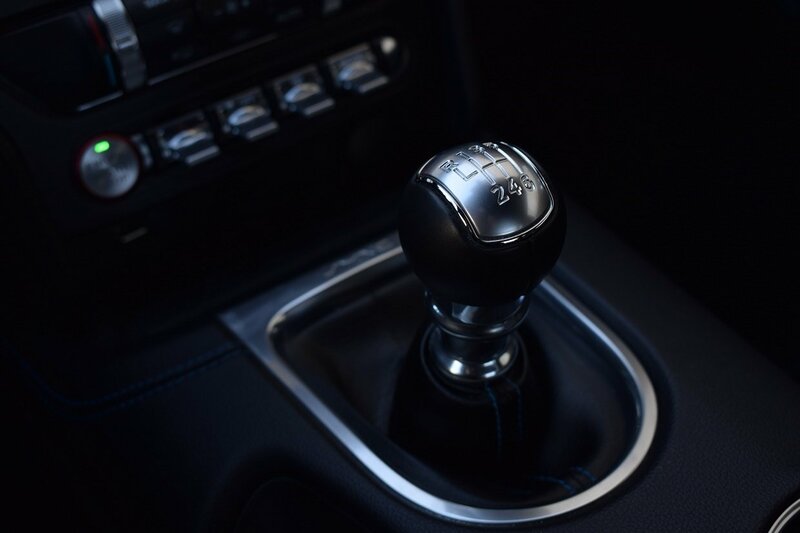 Ford has done an outstanding job of outfitting the Mustang with tunable adaptive suspension and various drive modes; giving you the ability to customize and save a “My Mode” that fits your preferred driving style. Being that there was rain in the forecast that week, I was able to test out the Mustang’s winter/rain mode as well, which keeps you from over-throttling, and turns the rear differential into an overly doting control freak. 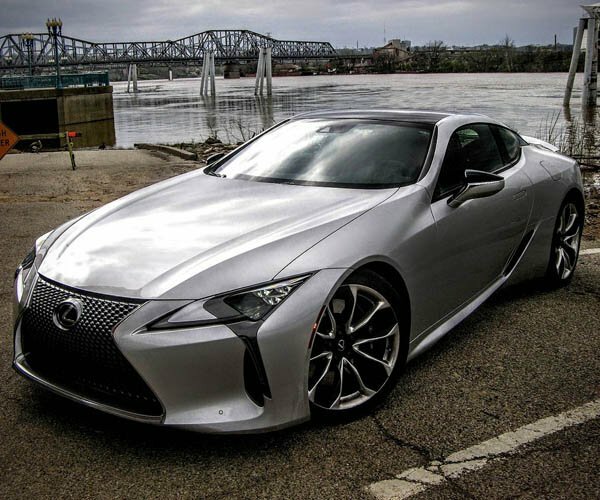 Some other traction notes include the 15-inch front, 13-inch rear Brembo big brake kit, which offers insane amounts of bite, with a pedal feel that doesn’t travel too far before tugging you to a halt. 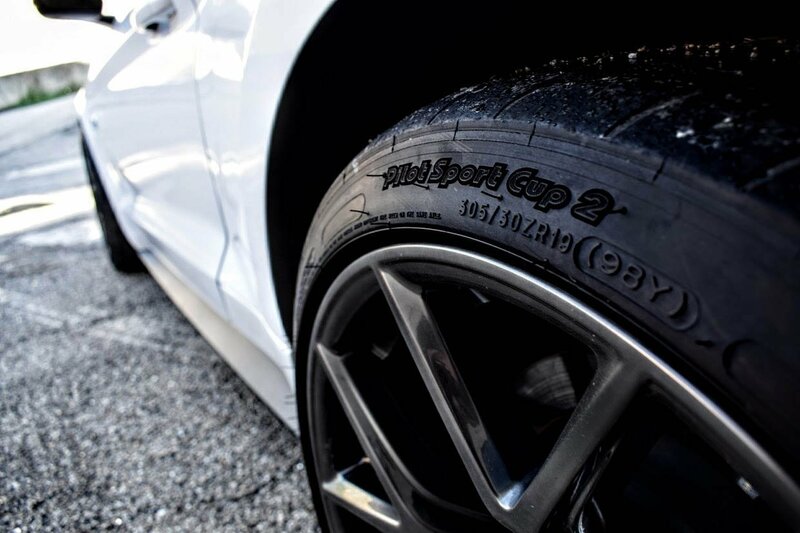 Controlled aggression is the best way to describe it, and outside of the Pilot Sport Cup 2 tires being a bit of a headache to control on public roads, I could not have been more impressed with the way in which the Mustang GT PP2 behaved. But performance high-points aren’t the only thing that make this machine so magnificent. Ford has bucked both the Challenger and the Camaro’s interior to the curb with its approach to appearance, materials used, layout, and customizable options. Although some may gripe about the quality of certain materials used and their inherent appearance problems, I found both hard plastic touches and soft materials to be pleasing to the eye and fingertip. Minute details like a pulsing, sleekly machined push-to-start button, and a row of matching toggles aligned next to it grab your attention first. Followed by loads of mood lighting options, sticky aluminum sport pedals, sharp seat stitching, and bolstered Recaro saddles that are surprisingly comfortable after you squeeze into them. By this point you must be questioning whether or not I am indeed a complete “Pony Boy.” To which I would honestly answer, “Naw… I’ve never been a Mustang guy… at least… until now.” It’s true. 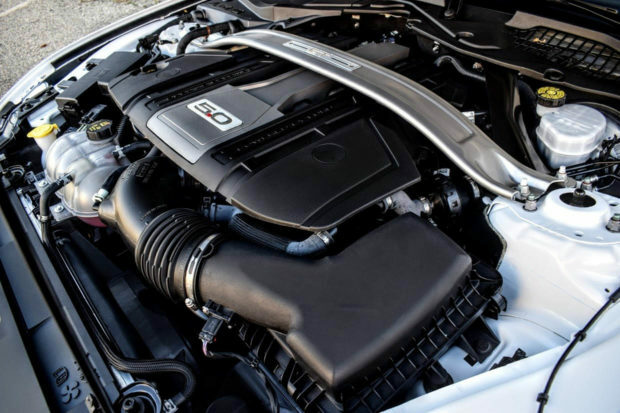 This surprisingly agile pony car, with its adaptive suspension, brilliantly tuned brakes, uproarious engine, tight transmission, and bottomless mounds of customizable offerings is without question one of the most finely put together pieces of American muscle there is on the market today. 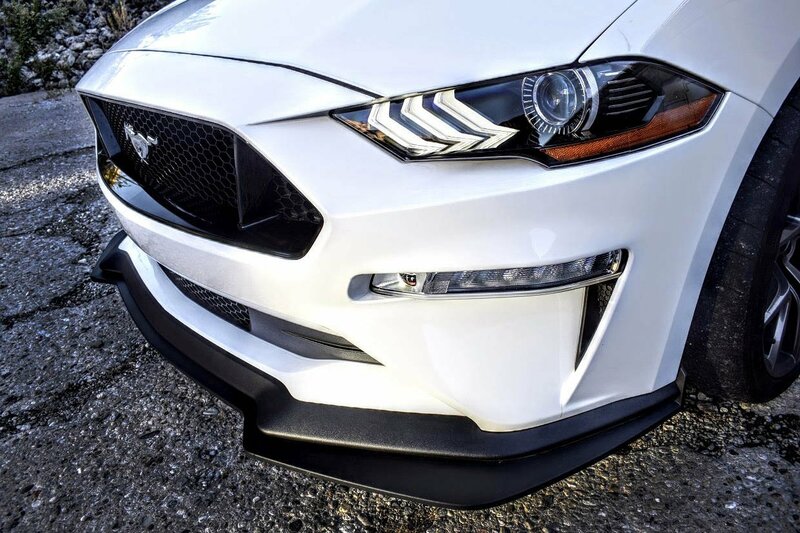 Lighter, tighter, fresher, and far more focused than its 1SS and Skat Pack rivals, the Mustang GT PP2 takes an approach to performance, and reinforces it with fighter pilot cockpit style and agile grace that is tough to beat. Horn-tooting aside, there are still a handful of things about the new Mustang that some might find unfavorable, beginning with those $1,600 Recaro seats. Bolstering , stitching, and name brand recognition alone can’t help the infuriating way in which these seat-backs adjust, for even the handle in the center occasionally refuses to adjust and feels to be made from cheap materials. There also aren’t any cupholders or cubbies in the back (despite having the space), and the lights don’t automatically shut off after a time if you switch over from the auto setting, a strange battery draining issue to encounter in today’s modern world. Also, being that this is a follow-up to the GT350, you wouldn’t expect things like the lower intake ducts to be fake in nature, and that rear spoiler is far too subdued for something sitting at this performance level. It also looks a little goofy, with its bulging 19×10.5 and 19×11-inch alloys poking out at each corner in a squared tire configuration, wheel gap gaping above each roller. It also fails to rev-match the way the Camaro 1SS 1LE does, and misses out on Chevy’s “zero-lift” feature, which allows you to keep you foot on the gas while shifting. 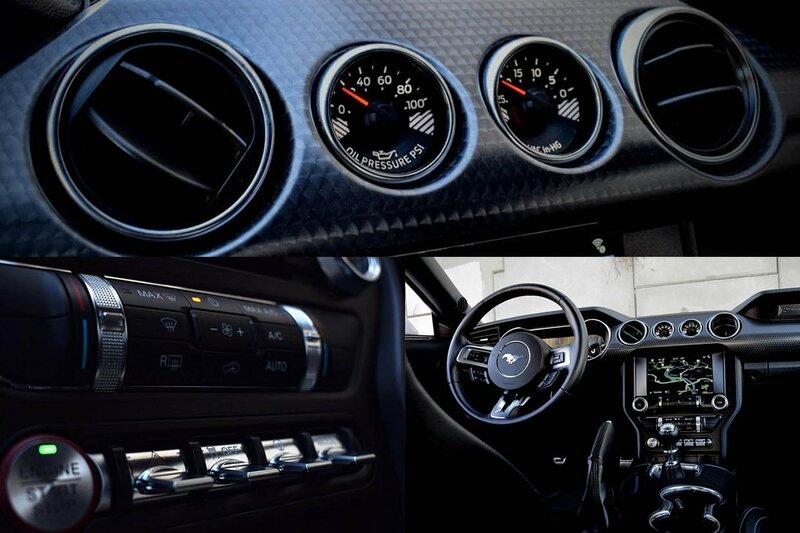 The Mustang also feels a bit twitchy at times when cornering, likely due in part to the car’s computer constantly trying to make adjustments, thus causing you to second-guess yourself. Finally, there’s the Mustang PP2’s price point. Which in Premium trim is a full $5,000 more than a loaded 1SS 1LE. Don’t let that stop you from driving one though, because I still stand by my previous statement that this is the best Mustang money can buy on the market today. 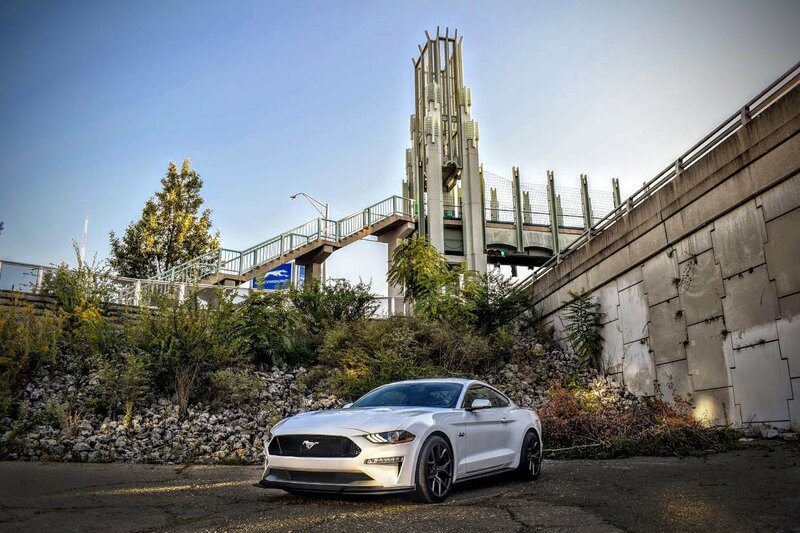 It may not be as quick as the 1LE, but the Mustang PP2 feels far more livable both in regard to its driving etiquette, options, and unparalleled interior. 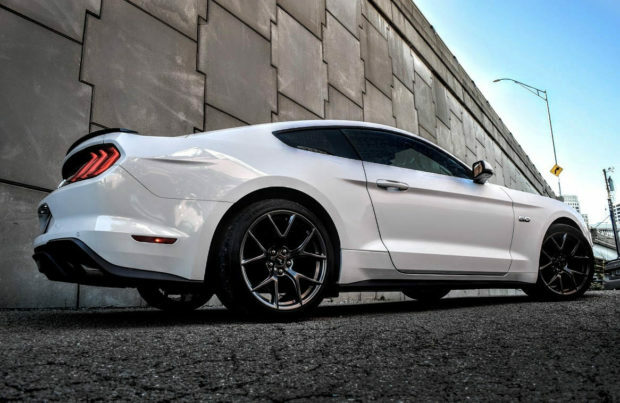 With the appropriate street tires attached, the Mustang GT Performance Package 2 would become the undisputed top-tier performance purebred for those wanting balanced off-the-shelf Ford performance. It may not be for everyone, but then again, how many people know how to drive stick nowadays anyway?